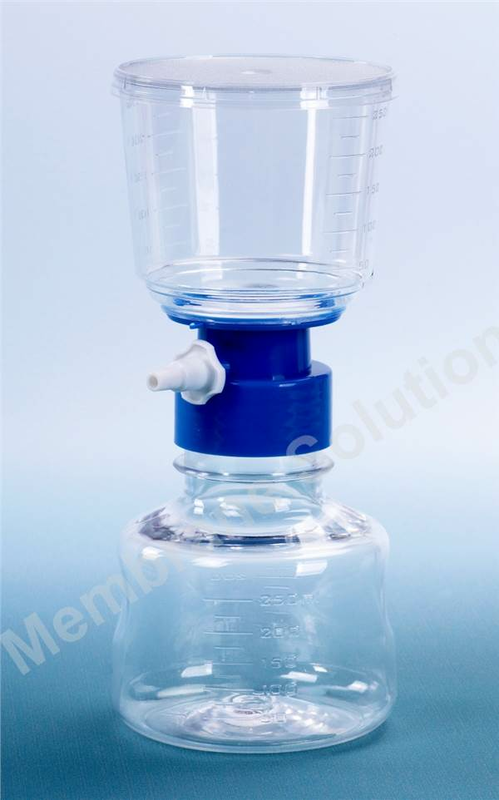 The unit includes membrane filter, graduated funnel of clear polystyrene with polyethylene neck adapter and polystyrene reservoir bottle with a separate sterile polyethylene cap. VacufilTM Disposable system unit individually packaged and sterilized. Five membranes are available to meet all of your filtration needs: PES, MCE, CA, Nylon and hydrophilic PVDF. Filters color coded by membrane type. Green PES The fastest flow rate, the lowest protein binding and low extractables and are best for filtering cell culture media. 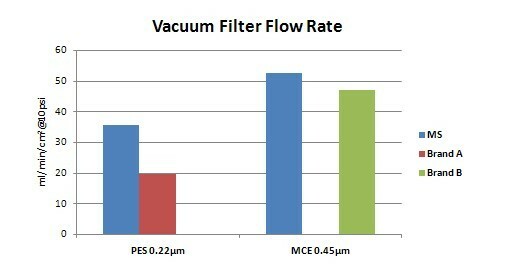 Dark blue MCE Filtration of aqueous solutions, effectively binds trace proteins. 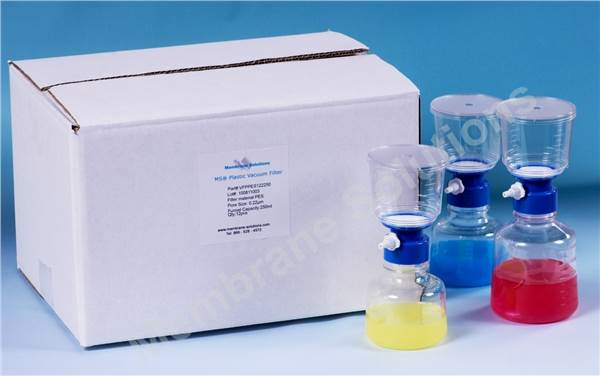 Blue CA Fast flow rates and low protein binding and are good for filtering cell culture media. Purple Nylon Naturally hydrophilic, surfactant-free and offer the lowest extractables. Yellow Hydrophilic PVDF Suitable for aqueous solutions and organic solvent filtration.